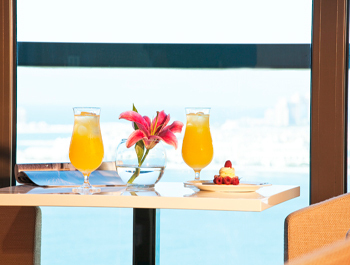 The Coral Lounge (club executive lounge) is set on the 24th floor, overlooking the vast Arabian Gulf. 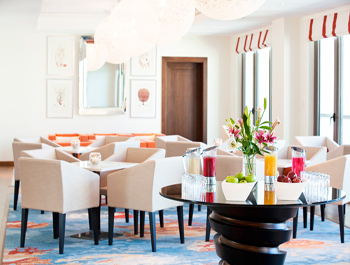 The lounge will cater to our Executive Club members and Suites, those wanting a private and upmarket ‘getaway’. The Coral Lounge will provide additional benefits to the more exclusive guests of the hotel. A complete hotel breakfast menu will be offered daily, with an extensive Afternoon Tea selection being served mid-afternoon. 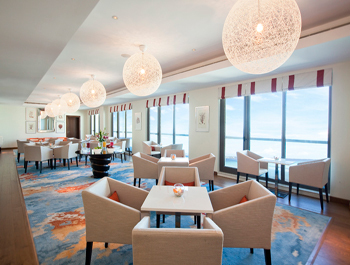 In the evening the Coral Lounge will provide a more tapas style menu, offering a varied selection of small bites to please all taste buds. In addition, there will be a daily happy hour exclusive to Club and Suite guests.